The Worldview Initiative was blessed and certainly challenged on our assignment for Bryan College Service Day. 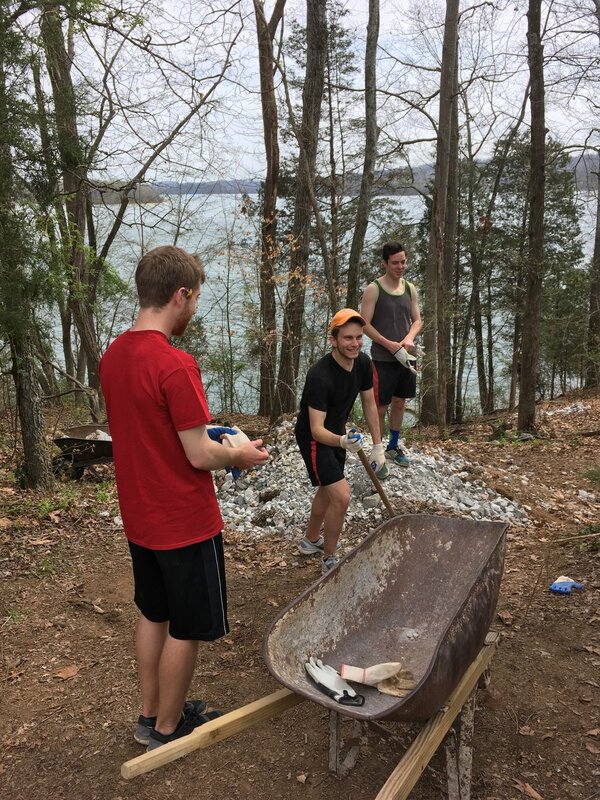 We were privileged to serve, at Cedine Ministries-Bible camp, helping them preserve their shore with a rock wall. Our team was recently blessed with a visit from Rosaria Butterfield to our campus. The evening she arrived we had coffee & conversations encompassing historical background of homosexual culture, the toxicity of an identity placed in sexuality, and the responses needed by the body of Christ. It was awakening and refreshing for our campus to discuss the LGBTQ community guided by Rosaria's unique experience and wisdom. The event opened the door to many challenging conversations across our campus. Our team had an incredible experience working with the kids of Chambliss. Many of these children have single parent homes who do everything to make ends-meet. Our hearts were overwhelmed by the opportunity to simply spend time with these kids who are filled with so much joy despite their circumstances. The Chambliss Center is a phenomenal ministry and we would highly recommend serving with them! This September we had the pleasure of hosting Jon & Val on our campus to discuss the role that Christians need to embrace in the Creative Community. Our Coffee + Conversation allowed for students to consider how their artistic gifts can serve the community of Christ through their vocation and service!